Readers are in for a real treat this time as the Life of a Consultant series continues with insider insights to the Nortel interview and more from Steve Shu. Read previous interviews here and here. Some background: I’ve followed Steve’s blog even before I entered the consulting world. Back then, it was one of the few insightful and well-written resources in the consulting blogosphere. It was a given that I’d approach him for this interview, and he graciously accepted. Please note, the personal views and opinions expressed are strictly those of the interviewee and do not reflect the views of the interviewee’s employers or affiliated entities. 1. For the benefit of readers, can you give us a summary of your background? I’m a principal consultant with Nortel Business Consulting which is unique in that we provide traditional business management consulting services in conjunction with deep technology consulting resources within the company. In the past, I’ve worked as a management consultant at Pittiglio Rabin Todd and McGrath (PRTM), as an independent consultant with start-ups and middle-market firms, and as part of the executive management team of a number of angel- and corporate venture capital-funded businesses in the telecom, software, and social-media industries. I’ve also worked in various product management and engineering types of roles with companies, such as AT&T Bell Laboratories and Telcordia. I have an MBA from the University of Chicago Booth School of Business and Masters and Bachelors degrees in Electrical Engineering from Cornell University. 2. You’re a well-known blogger in the consulting space. I’ve been reading your articles even before I started my consulting career. What inspired you to start the site, and to keep it going for so many years? Kevin, thanks for following my blog. It really means a lot to me. I started blogging during my time as an independent consultant and just before business use of blogs started to take up. With that as context, blogging for me started as an alternative to traditional newsletters that many consultants use as part of their marketing arsenal. Blogging evolved into online networking for me, and I ended up getting approached by some social media and publishing companies for consulting and interim management roles. I basically went with the flow and where demand was taking me. Also, in terms of people that reached out to me (e.g., via email), I was finding that people were really seeking information about being in the trenches as management consultant. Down-to-earth, practical information on management consulting has been somewhat scarce in the online space. My experience in consulting with a traditional firm, as an independent, and also as part of a large corporation also seemed to provide a unique angle for the readers. I have not blogged so much in the recent past due to saturation in the blogosphere supply-side, but I am considering a return. 3. You’ve worked for several consulting firms in your career. What perspective has this given you on the consulting industry? For one thing, I think a consulting experience can provide an excellent foundation for developing general management skills. There are a limited number of professions where one can work on numerous projects for different companies. As compared to corporate positions, it is also easier to work on management issues as opposed to being embroiled in the politics and administration of working within a company. The list of tradeoffs to working in consulting, however, can be large. Some areas to watch out for include not having a constant environment (e.g., regular peers to work with as compared to working in a larger company) and not developing specific operating or tactical expertise (e.g., having to execute marketing campaigns, run quarterly financials for the public markets, or approaching customers in sales meetings). There are ways to address the potential shortcomings as part of consulting – tactics likely vary by industry and where one is at in terms of career goals (e.g., if one wants to be a lifetime consultant). 4. Can you tell us a bit about each of the consulting firms you’ve worked for? 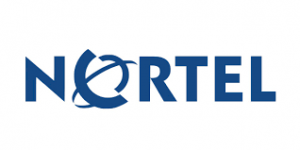 At Nortel, we have a core team of traditional management consultants and mix these skillsets with experts (e.g., engineers) in areas such as network architecture or operations systems. An example engagement could include developing the business strategy and plan (which would be approved by its Board of Directors) for a carrier to move from the wireline to wireless space. We might also help a company with more focused areas such as development of a marketing and sales plan (covering pricing, product packages, channel strategy, collateral and campaigns, etc.) or with a network evolution options analysis. At PRTM, I worked mostly with clients around new product introduction, product development, and/or operational processes. In contrast to the corporate structure I am in now and using very broad brush strokes, the structure of the firm is similar to other management consulting firms (e.g., McKinsey, Deloitte) in that it is a partnership. PRTM has historically a lower leverage ratio (e.g., partner to non-partner) compared to other firms. Some tradeoffs of that difference can include more involvement with total deal lifecycle, more trench experience with senior personnel, and higher required utilization rates. As an independent, I worked with start-ups and middle market firms mostly around business development, marketing, or quantitative analysis. In that environment, one needs to understand the full lifecycle of consulting from lead generation to sales, contracting, and delivery. So I guess in closing I would say that the type of consulting firm one works with will likely change the style with which one approaches consulting. Be cognizant of the tradeoffs. 5. Given your experience recruiting and interviewing candidates, what advice can you share with people currently in school who are looking for a job in management and strategy consulting? Management consulting jobs are harder to come by in today’s climate. At business schools, it’s a common theme to see the 30% of the community that would have normally pursued investment banking instead seek out consulting jobs. If you want to land a management and strategy consulting job, consider casting a very wide net. This may mean seeking out geographic opportunities where your diversity in schooling may be seen as an immediate asset as opposed to someone that is just part of the crowd. In today’s climate you may also want to seek out an unpaid internship, depending on corporate policies and labor laws. 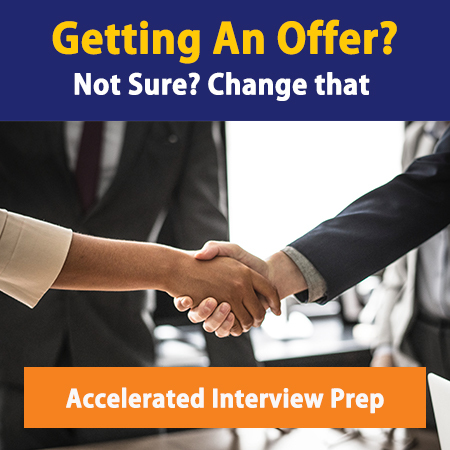 Beyond the resume and any case study, key skills that entry-level consultants must project during the interview process include being smart (often analytical), having professional poise, and having energy. I find that applicants sometimes do not focus enough on these latter two items, and they are critical for a client-facing position within a consulting firm. 6. Many readers come from overseas – China, Western Europe, even South America. Have you worked on international/overseas projects? If so, can you share with us those experiences? Outside of North America, my specific practice has done most projects in Western Europe, South America, and the Middle East. Language, ability to pay, and willingness to pay for consulting have been key drivers for that mix. I guess one thing that comes about by working in those environments is that it is key to get local information about the countries. For example, I often use Pyramid Research (subscribed reports) to help me initially get grounded on the macroeconomics, consumer environment, and trends within the telecom space within a country. I also use my network (e.g., the account team, friends) to get some color on the culture, trends, and norms. Finally, I have found it useful in many situations to have Google translate as my friend! That feature has helped to get me in the ballpark (e.g., translate presentations, contracts, emails, marketing websites) and/or augment using translators on a project. 7. What’s your view on the consulting job market given the economic backdrop? 8. If you could retire today, what activities and hobbies would you pursue? I might pursue something that would help me give more back to community and improve the world. Getting involved with non-profit, education, government, or the energy communities come to mind as aspirations. I’d also spend more time with jazz drumming, wine, and my family (not in that order for the record!). 9. How should readers get in touch with you?